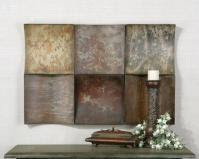 Wall Plaques are a wonderful way to add a Tuscan element to your space. They come in a variety of materials such as metal, ceramic tile, and wood. 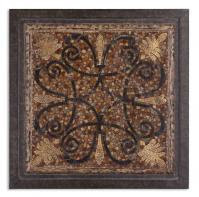 Many wall plaques feature rich Tuscan colors, such as green, rust, yellow and bronze in their design. We love to use wall plaques when we are incorporating wall decor in a room design, as the rustic materials add texture and interest to the space. Some of our favorites are shown here. For more details on wall plaques visit www.cheapchicdecor.com.